How universities and colleges can improve experiences of international students? What are the best practices? 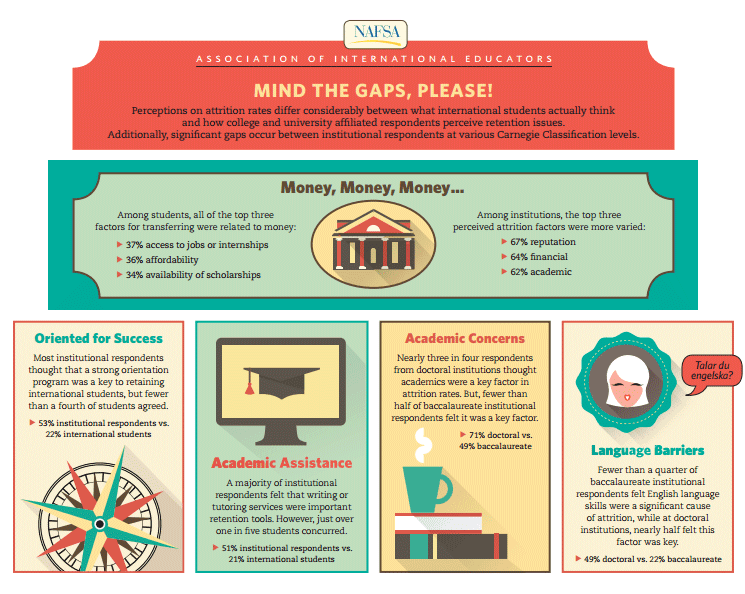 NAFSA commissioned a national research “Bridging the Gap: Recruitment and Retention to Improve International Student Experiences” to investigate the reasons why international undergraduate students leave their institutions of first enrollment and what are the best practices to avoid attrition? The research was a response to increasing number of international students in American campuses and the widening gap between expectations of students and capacities of institutions to support them. -investing in programs and services that improve student experiences. Next How to maximize impact of internationalization strategies?